We all have been studying since our school times that the most basic needs of a human being are food, clothing, and shelter. The first two doesn’t burn that deep holes in our pockets but with the changing times and growth of our nation, the need of shelter that is of buying our dream house is getting difficult and cumbersome year after year. With the growing prices of the flats all over the city of Mumbai, many people are still opting to stay in the rented apartments to save money for the down payment and then for the monthly installments. Hence, considering the scenario even the government authorities have huge plans to provide housing for all and have been taking various initiatives and so is the builder lobby by coming up with the affordable housing projects to meet and cater the needs and demands of the customers, nowadays. And as the main city of Mumbai is saturated owing to the non-availability of fresh land parcels and with the only possibility of redevelopment projects in the main city of Mumbai, quite many renowned and new developers are showcasing their interest in the areas of Thane Down that has huge potential for growth, appreciation value, infrastructure development, and much more. And the major cities that are targeted are Kalyan, Ambernath, Dombivali, Badlapur, and Shahpur among others. Regency Group, a realty brand that has been into the market for more than 17 years now and has a successful stint with its projects in the various locations of Thane Down is offering Low Budget Flats in Dombivali East in its project Regency Anantam that comprises of 1 BHK in Dombivli East Near Station along with the area of configuration of 2 BHK. 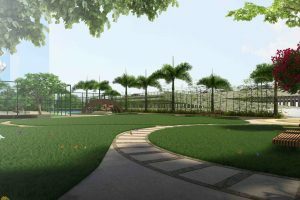 The project boasts of the best of lifestyle amenities and facilities.